In a world where golf is central to your life and disc golf is looked down upon like downhill skiers look at snowboarders, you are on a quest to become a pro golfer and fulfill your destiny. Destiny may be a strong word, but for sure you want to be really good at golf. You have an ugly swing. However, you have incredible control and amazing skills in both the long and short game. Wanting to continue training where your father left off years before, you embark on a comical and entertaining journey to make him proud. And thus begins your Golf Story! First of all, the fact that someone made an RPG out of golf really surprised me. When I first heard about this game through Nintendo Times I was not that interested. Over time I started to hear good things about it so I made the decision to purchase it and give it a whirl. Honestly, how good could an RPG be that centers on golf and be and also how in the heck could they possibly make that fun? The graphics in Golf Story are quite good and reminiscent of the Super Nintendo glory days. If you’ve read any of my reviews, you may know that graphics are something I can be very forgiving of if the rest of the game is polished. Even on their own I think they are very good and imaginative. They took the game of golf, and the golf courses for that matter, and made them interesting places you will want to explore and play on. They range from the standard greens to the exotic and everywhere in-between. Where else are you going to get to tee off on a prehistoric green or an exotic beach? The NPCs of each course fit their surroundings perfectly and the various hazards are well thought out and executed. Attention to detail is something the developers have a flair for, right down to the text boxes. I’ve never seen this done in any other game before, but the entire box rotates and moves as the text is being written. The font size and speed will also differ depending on how the person is talking – a really cool visual cue to go along with the personality of the NPC and situation. The music isn’t bad at all. It fits the game well even though some of it does get a little annoying after a while. The sounds related to the game of golf are all quality, especially the ball dropping into the cup. The hazards make noises as you’d expect and none of the sound effects so far have made me wonder what animal died to get that noise. The most fun I am having in Golf Story is actually completing all of the various challenges to earn money or XP throughout the game. I haven’t gotten tired yet of playing rounds of golf. They add really cool things like clubs that allow you to skip your golf ball across the water. One course has turtles that you can bounce the ball off their backs. Another has rodents that steal your ball if you hit it into their capture zone. There is item trading, pest control, and numerous other non-golf related quests for you to do as well. You even get to play disc golf, which adds a whole new play style to the game. There really is no shortage of things to do here, and the sheer variety of modes and courses keeps the game entertaining for a long time. You’ll have to deal with coaches, rivals, friends, and enemies and each one is just as engaging as the last. The developers have woven an interesting enough story around this young man trying to fulfill his desire to be a pro golfer to make me care about him and his quest. I haven’t seen a lot that screams Happy Gilmore to me, but there are definitely things that are said or done that remind me of that movie. Sadly, no one has yelled that the price was wrong yet. Golf Story is definitely an addicting RPG that has me completely enamored. I have been playing it every chance I get in between all the other games that I have been really excited to play this year. This one sort of came out of nowhere, but sometimes they are the best games. If you enjoy RPGs and have even a remote interest in golf (and maybe even no interest honestly) than you should give this one a try. The controls and gameplay mechanics aren’t too difficult to learn, and if you’ve played games like Mario Golf you’ll be right at home with some of the underlying principles. I especially enjoy precision mode, which allows you to move the ball closer to your player to get a better clue as to where to stop the meter to make that perfect shot. Through your travels you will also pick up different types of clubs as I alluded to earlier. Some of the ones I have purchased have been more accurate irons or a wedge that doubles as a shovel for finding treasure on the courses. Like I said, they added a lot of cool things to do in Golf Story that will most likely keep you interested throughout the journey. This is actually a really good example of a surprise hit. The title tells it like it is, we’re playing a golf game that tells a story. If you do give it a shot, I believe you will be just as pleasantly surprised as I was and will be quickly putting many hours into the game. Luckily you can play it whenever and wherever you like with the portability of the Switch! Golf Story is the most unique RPG on the Switch. With nice graphics and truly fun mini-games and quests you’ll be sure to get your money’s worth here. It’s a diamond in the rough (pun intended) and a valuable addition to your Switch library. They’ve actually gone and made golf interesting and fun! 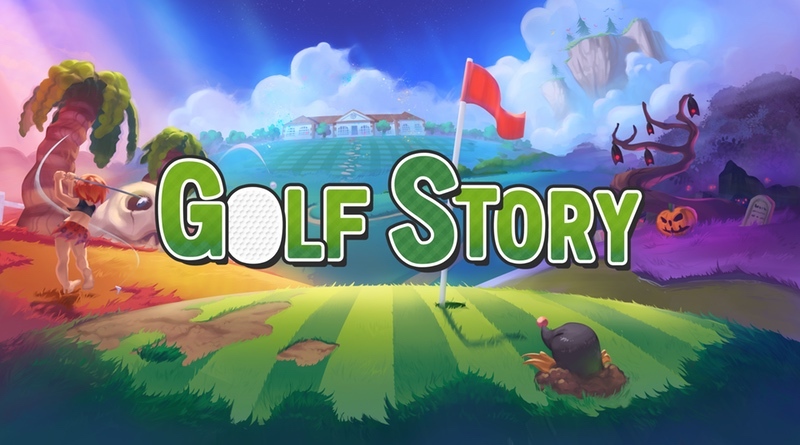 Golf Story was reviewed using a digital copy for Nintendo Switch purchased by Nintendo Times. A review copy was not provided.